Sometimes libs try to pull one over on us by shaking and rattling the shiny object so that you don’t see what they are doing with their other hand. Such is the case today at Jesuit-run America Magazine. There the unwitting reader will surely not be able to avoid a piece by a priest from Chicago, Fr. Louis J. Cameli, who takes on the Four Cardinals and the Five Dubia. First, Cameli denies the obvious and claims that there really isn’t anything unclear about Amoris laetitia Chapter 8. This is nonsense. AL 8 has content which is objectively unclear. Next, Cameli accuses the Four Cardinals of being dishonest. According to Cameli, the Five Dubia are not genuine doubts or questions, but rather assertions. However, even if assertions are within the Dubia, they remain honest questions about the magisterial status of Veritatis Splendor, etc., which can easily be answered by a “yes” or a “no”. Then, Fr. Cameli begins his own defense of Amoris laetitia 8. There are several points which we might look at over the next couple days, but let’s start with how he handles one of his most important proof texts. We shall have to look at more of this piece in the days to come. This entry was posted in Liberals, Our Catholic Identity, The Drill, What are they REALLY saying?, You must be joking! and tagged America Magazine, Amoris Laetitia, Five Dubia, Four Cardinals, Gaudet Mater Ecclesia, John XXIII, Louis J. Cameli. Bookmark the permalink. When did the Jesuits go from Solders of Christ, to Soldiers against Christ? Every time I read articles of this ilk, (one MUST know their enemy) I ALWAYS ask myself this question: What would my ORDINARY, Bishop Robert C Morlino, SJ would write instead. Your review has already been cross referenced in the comment section of the original article! God reward you, Father. And I look forward to your further analysis. Abandoning my hesitancy to be bold I will simply say it appears there is current within the Church a not unsubstantial number of clergy who are not merely unperceptive, without depth and knowledge, but are deliberately mendacious. One need ask for what purpose. An answer to that would unmask a multitude of sins. This is often unnoticed because they merely propose without appealing to another, or citing a rationale, or deliberately offer a misinterpretation – but it does jump out when one presents the comparison clearly as you provide here. This has been going on for decades. No one challenges this mode of operation, and all goes on, and erroneous proposals are allowed legs and the people are deceived, others left confused. The laity requires bread and is given vermin instead. And from pastors. The physician are not healing but aggravating dire conditions. Disputes transpiring within the Church are reduced in importance as mere debates between different viewpoints. They are not that pedestrian. The tapestry of the Faith is so intertwined one cannot tug on any strand without effecting another. There is either mindfulness of this undeniable reality or there is a rejection of its vital importance – and that could only be if the Faith itself is deemed as deficient so to be in need of replacement. The barbarians are within the gates. Remember that Father Hunwicke had a great series of reflections on eodem tamen sensu eademque sententia on his blog in June and July of last year. He nailed it down tight. Bishop Morlino (who is also my bishop) is technically an ex-SJ, he did in fact leave the Jesuits to become a diocesan priest in Michigan where he was a seminary professor. Leaving out portions of a quote without ellipses would get any student of mine a full letter grade drop on their paper. Good presentation of the textual differences. Even what he quoted does not provide a basis for ignoring the relationship of doctrine to pastoral accompaniment (“a formation of consciousness in faith and perfect conformity to authentic doctrine”). The shiny thing he holds up actually supports the dubia, as the dubia are precisely about ensuring consciences are conformed to authentic doctrine. I agree with him that the dubia are assertions. So what? All questions assert the questioner’s understanding of a topic to some degree. “Why is the sky blue?” is an assertion there should be a reason for this to be so. “Can footnote 351 be applied to the divorced and remarried?” is an assertion that it has been the previous understanding that it can not. The assertive nature of the questions does not invalidate the questions. The assertion is not, however that Amoris Laetitia is unfaithful. The assertion is that certain interpretations are. The question is whether those interpretations are the intended meaning. Father Cameli’s overall argument seems to be that the Four Cardinals fail to recognize the pastoral intent of Amoris Laetitia. 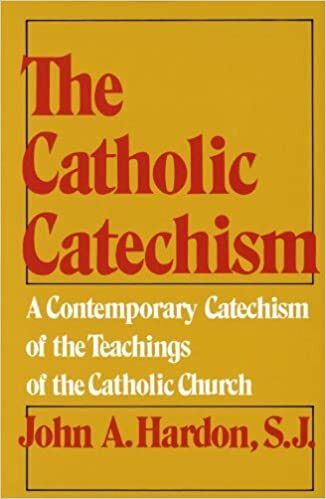 Why not “accompany them” and give them the benefit of supposing they are equally as capable of reading the exhortation as Father Cameli himself is, and are therefore aware of the stated pastoral intent? Had he honestly done so, he’d have been able to see the questions as grounded in concern that certain interpretations of Amoris Laetitia are not pastoral, but instead could lead people away from conformity to authentic doctrine. Jesus accompanied the Samaritan woman, but he never implied that her actions were of no consequence, nor did she in turn try to justify her actions. Father Sparado’s post is in a category of its own. Perhaps he could clarify for us when 2+2 = 5 in theology, or any other way in which theology is defined by contradiction. Also, please stop the hashtag abuse. It’s a bad enough form of markup even when used with semantic coherence. Scattered randomly through posts it’s even more irritating to me than leaving your capslock on. Oh good, especially how the cropped quotes from “Veritatis Splendor” have been pulled away from the encyclical’s whole, away from the very points that the Dubia highlight. This Amerika piece does nothing to answer the questions posed by the Cardinals, questions which continue to be ignored. Never mind that “accompaniment” is placed on a much higher plane than Truth. It’s the dictatorship of relativism re-warmed.